Inexperience is perhaps the biggest stumbling block when someone reaches into the rental property market. This inexperience can be manifested in many ways, not least of which is when it comes to the choice of property manager. However, there are signs that can help you make the best choice in this area and minimize the negative consequences, whilst maximizing the returns you receive. Although there are indeed many things to look for, let's consider just five of the basic things that can mean the difference between success and failure. Point 1 – Don't Go With The Flow! When our clients purchase a rental property for passive income, they often will just continue with the real estate agent that sold the property, thinking that they will know what is best. It is good to remember, however, that there can be a massive difference between selling a property and managing one! Point 2 – Cheap As Chips!. In order to get the best returns, many think that property managers are all the same, therefore they will hire the cheapest option. This is a big NO NO! Would the cheapest option be best if your property is unoccupied, or lacking maintenance? No, don't go for the cheapest price, go for the best value! This can be done by saying: "What will my fee to you give me in return?" Point 3 – Crowd Affirmation! Wisdom lies in a multitude of counselors, or so the saying go. Therefore, ask for references, examples of other properties managed, and qualifications obtained. Seeing what others say is one of the best ways that you can be sure that you are hiring the best that your hard earned dollars can buy. Point 4 – Where's My Money?. One of the important things, actually, probably the most important thing is: Will I get my money? It is not just enough to select the right tenants, property managers need to know exactly what to do when rent is late or other bills are unpaid. Ask the property manager what they will do if the rent account is in default. Point 5 – Take A Good Look! Sometimes, as it was in our case, property managers don't inspect the property regularly. This can mean, as it did for us, that when the tenant moves out, rubbish is piled up to the ceiling, or damage has been done. Save many headaches by asking: "How often will you inspect my property?" Choosing A Property Manager – Build For Success! 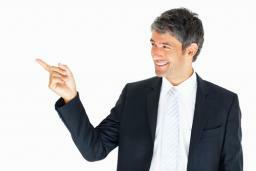 Just remember that a prospective property manager is probably a very good salesperson. That being the case, you can't rely on what they say, due diligence is an absolute must! Do your due diligence by asking the above questions and ensure that your property will continue to work for you for years to come! Windows are generally quite a chore to clean - it's easy to take shortcuts and put ourselves in danger when we're just trying to rush through and get the job done. These tips will take some of the effort out and give you some helpful hints to keeping safe while you complete your spring cleaning chores. If you have installed a solar power system in your home or workplace you have invested a considerable amount of money, so it’s important that your return on the investment is as large as possible.